THROUGH PROJECT NEHEMIAH, SAMARITAN’S PURSE HAS ALREADY REBUILT MORE THAN 350 HOMES FOR BELIEVERS IN IRAQ WHO FLED FROM ISIS. MORE WORK IS PLANNED. Widowed since 1993, Sana gets by on her husband’s pension and whatever she can earn by baking bread for other families in Iraq. She cannot read or write but follows Christ closely. Over the past few years she’s been displaced due to the rise of ISIS. The 2014 takeover of Mosul forced her and her family to flee their Nineveh Plains home with just the clothing on their backs. Sana and the others ended up in the Dohuk region of far northeast Iraq, where they stayed in temporary accommodations. Temperatures reached minus 7 degrees Fahrenheit, a big change from the sweltering plains heat. On top of all this, Sana was diagnosed with cancer during that time. Two of Sana’s sons returned to their family home in Bashiqa in early 2017. Fear of booby-traps and word of a neighbour who died after stepping on an explosive had kept them away for three months after their hometown was liberated in October 2016. They found the home’s doors gone, the entryway burned, and nothing but a single bedframe left in a brother’s room. Rubble and litter filled the house, spilling over from homes on either side of them, which were hit by airstrikes. Recently, she finally got some good news. Sana’s faith was strengthened when her church informed her and her family that they could receive help from Samaritan’s Purse Project Nehemiah to rebuild their home.  “The presence of Samaritan’s Purse transformed the situation from sadness to joy,” said Mikhail. 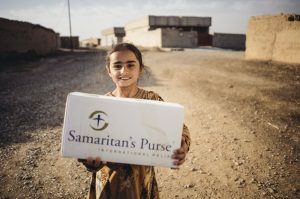 Partnering together with nearby churches and working with local contractors, Samaritan’s Purse plans to clean up and restore 700 homes of persecuted Christians on the Nineveh Plains of Iraq by the end of June. The church in this mixed community of Muslims, Yazidis, and Christians originally had 475 families, but after displacement, 150 families chose to emigrate to other places rather than return and rebuild. Like Sana, Yohannan is also one who decided to stay. Described as the “hidden soldier” of the church in Bahzani, he assists the pastors in logistical preparations for the services and shows visitors around the church. He and his wife Elia actually live in a small room at the church now as repairs—through Project Nehemiah—are being made to their home about a block away. Pastor Ibrahim points out damage to the church building. About 150 families in his church relocated instead of trying to rebuild their homes. Yohannan and Elia are familiar with adversity. They lived in a camp when they were first displaced and then later were separated from each other by a 28-hour bus ride. Yohannan stayed in Iraq but sent his wife and children to live in an apartment in Turkey, visiting them when he could. Just over a year into their displacement, Yohannan and Elia reunited in Iraq. A little later, they made the difficult decision to send some of their children, two sons and a 25-year-old daughter, to Europe as refugees. Yohannan displays a photo of what his home looked like when he first returned after Bahzani was liberated from ISIS. Samaritan’s Purse is repairing his home. God heard these prayers at each step and has provided for them again, in part, through Samaritan’s Purse. They look forward to moving into their newly restored home. The costs for restoring a home range from about $2,700 to $8,500, depending on the severity of the damage. Please pray for these people who have suffered so much and for our teams who are working on their behalf for the glory of God.